If you’re looking for a step up in dentistry, White Clay Dental is right for you. 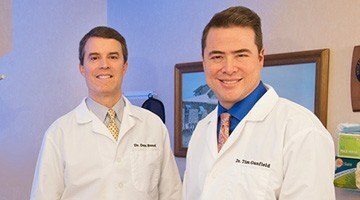 Our expert team of dentists, Dr. Donald T. Bond and Dr. Timothy D. Ganfield, take pride in the relationships that they build with their patients. They believe that getting to know their patients leads to more personalized and quality care. That’s why they want to share more about themselves. That way, you can get to know them before even stepping foot in their practice! Keep reading to learn more about your new favorite dentist in Newark. An Amazing New Smile with Help from Your Cosmetic Dentist in Newark! 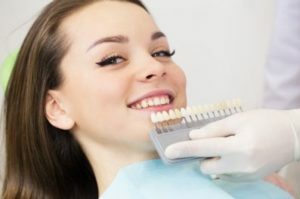 If you’re unhappy with the appearance of your smile, and you want to boost your confidence, then it’s time to seek the help of a top-rated cosmetic dentist in Newark. How should you go about finding this professional, though? These simple tips will make the search process much easier! Comments Off on An Amazing New Smile with Help from Your Cosmetic Dentist in Newark! Dentures vs. 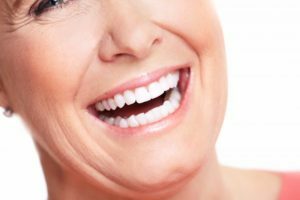 Dental Implants in Newark — Which Is Better? If you have suffered significant tooth loss, you may face a number of daily inconveniences, such as difficulty chewing and embarrassment in social situations. Thankfully, you don’t have to live with the woes of missing teeth. Modern dentistry offers comfortable, innovative treatments that can rebuild your smile and restore your dental function. But which tooth replacement option is best? Let’s take a moment to compare traditional dentures and dental implants in Newark. Comments Off on Dentures vs. 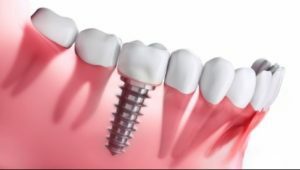 Dental Implants in Newark — Which Is Better? 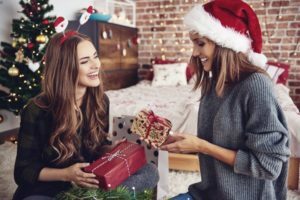 The holiday season is a time of the year when you decide to let your “hair down” and enjoy the fact that you’ve made it through another year. It’s also common for there to be several parties that may include processed foods and alcohol, two things that can be detrimental to your oral health. 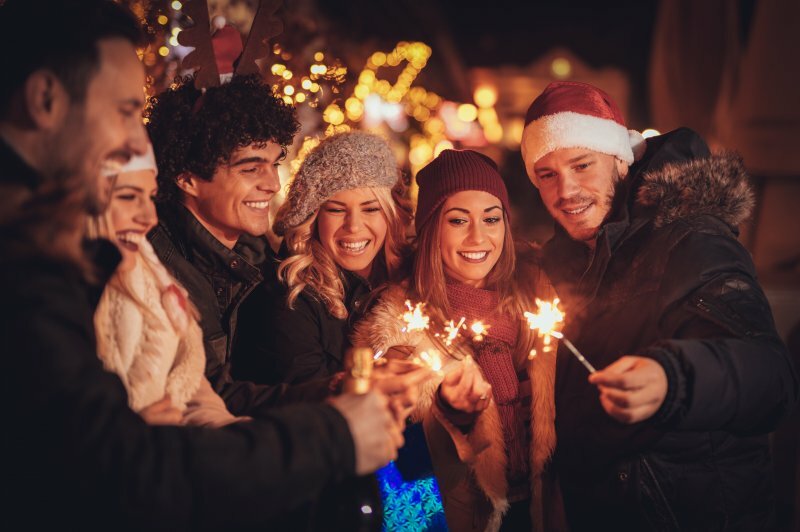 Do you have to miss out on all the fun, or is there a way to manage your celebrations so you can maintain your dental wellness? Your family dentist in Newark provides the answers. When you look at your smile in the mirror, what do you see? If it’s full of flaws and imperfections like discoloration, chips, cracks, gaps, crooked teeth, and more, you could greatly benefit from cosmetic dentistry. These flaws in your smile’s appearance may cause you to hide your grin or avoid photos altogether. Thankfully, your cosmetic dentist in Newark can boost your self-confidence by delivering you a beautiful set of pearly whites. 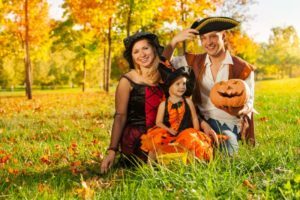 Your Family Dentist in Newark Gives 7 Tips for a Healthier Halloween! As Halloween approaches and you prepare to indulge in the sweet delights that will be plentiful, your family dentist in Newark says don’t forget about your oral health. How can you possibly think about your mouth, teeth and gums with all the Halloween deliciousness surrounding you, though? Your local professional gives 7 valuable tips as you continue reading! Comments Off on Your Family Dentist in Newark Gives 7 Tips for a Healthier Halloween! Does Whitening Toothpaste Work as Well as Teeth Whitening in Newark? It goes without saying that one of the best features of a beautiful smile is its color. 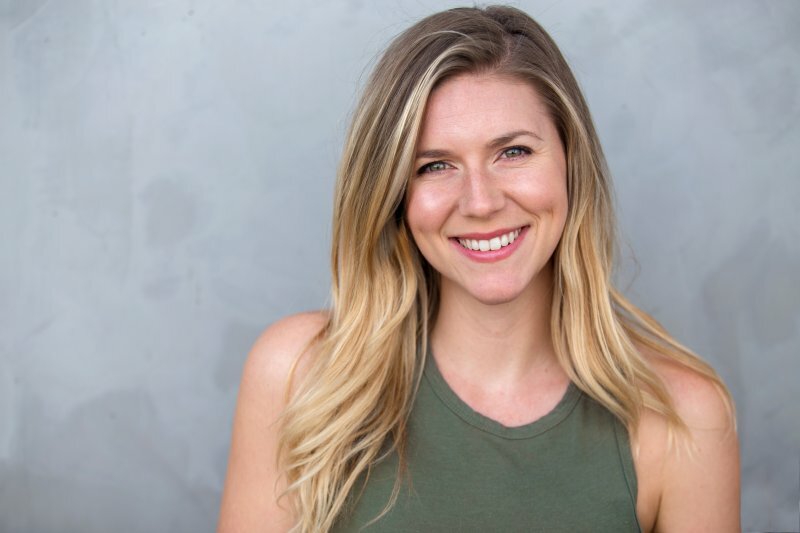 Unfortunately, few people are born with naturally white teeth, not to mention that many enjoy foods and beverages that don’t exactly make their pearly-whites so pearly (think coffee, red wine and dishes like yellow curry). 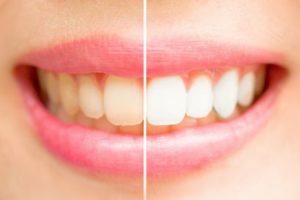 In response to the popular demand for a white smile, the number of whitening products on the market has exploded in recent years, including countless whitening toothpastes that promise dramatic results. But do they deliver? And can you simply use one of these toothpastes instead of getting teeth whitening in Newark? Below, you’ll learn more about both of these choices and find out which one might be right for you! Comments Off on Does Whitening Toothpaste Work as Well as Teeth Whitening in Newark?